The multi-talented Taketeru Sunamori has chalked up a career as a novelist, a composer and, more lately, a DJ among his list of accomplishments. As a student, he contributed voice dramas to popular Japanese site Niconico Douga and released his first major label album Kakusei Love Survivor via anime label Flying Dog. This led to a writing career with prestigious Japanese publisher Kadokawa Dengeki. But his work as a composer with the legendary Square Enix demonstrated his talents for music arrangement, particularly his work on the title Grimms Notes. 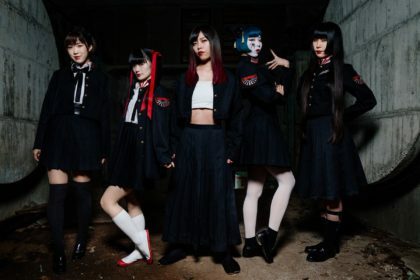 This music interest has also sparked a side-line as an anison DJ, which is where his recent appearance at Hyper Japan was utilised (see the J-Pop Go review). 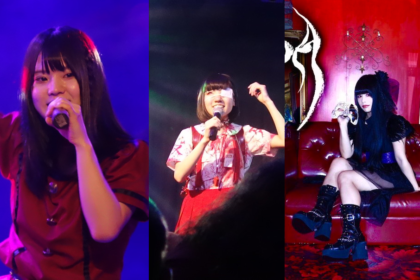 The summer weekend saw Sunamori-san occupying one of the side rooms at Olympia for regular music-fuelled parties – as well as a stint on the main stage. 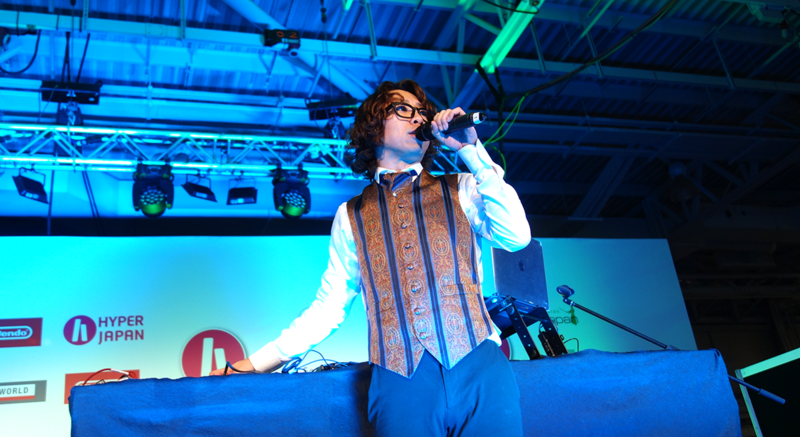 He also engaged in a joint session with Ladybeard on the decks for the assembled Hyper Japan crowds. J-Pop Go sat down with Sunamori-san to talk about his fascinating journey in writing, composing and DJing, as well as his thoughts on acting as a Japanese cultural ambassador of sorts. 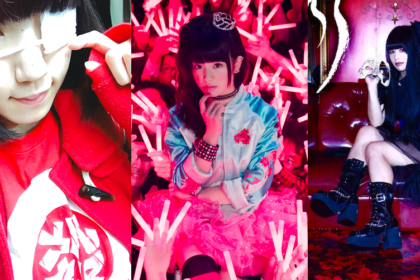 Are you surprised by the popularity of J-pop in the UK? So many people seem to know J-pop, it’s very surprising for me. When I was young, I was a big fan of UK pop. I once learned how to make music in London, ten years ago, and then I went back to Japan and started out my career as a composer. I haven’t been here in ten years and I found our music is much more popular than ten years ago! It’s so fantastic and so amazing! Wow! 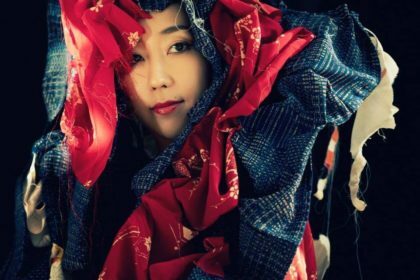 Japanese music has certainly grown in popularity. Now we have many more Japanese bands coming to the UK than we did ten years ago. For you, what role do you consider is the most important? Is it as a novelist? or composer or as a DJ? I first started my career as a composer. Then three, maybe four years ago, a publisher, Kadokawa – a very famous publisher in Japan – ask me to write a novel with my song. I uploaded a vocaloid song and they wanted the song to go with the novel. They referred me to another novelist, but I offered them to write it myself. Then I started my career as a novelist. And then now my work is just composer and novelist – and also senior writer and game planner to make the story of some games. I started DJing just one year ago in Beijing. My friend in Beijing has an event and then I see this is a comic event and they started a DJ stage. He didn’t think I wasn’t a DJ! (laughs) He thought I can DJ and he offered. I played just one time before and it was very good time for me, so I said, “OK I can DJ!” (laughs) and I learned and learned in a very short time and I debuted as a DJ in Beijing last year. Then I met a very good DJ there and we became good friends. He offered me to play in Singapore: “Let’s play together” and I said “OK! OK!” And I learned very quickly, and I asked my friend DJ to learn. So, to answer your question, DJ is not so much my income, but it’s more fun. I think we Japanese creators should go to foreign countries because there are a lot of fans, like here and in Brazil. And they are all different and all the same. So, it’s very encouraging to create. But it’s not a normal thing to go to a foreign country, to Japanese creators, so I want to become a bridge between Japanese creators and fans in the world. So maybe I have to go first and then go back to Japan and then say: “You should go, you should go”. Then maybe more people come here. That’s why I play in DJing worldwide. Do you find there are anime songs that stand out as regular favourites when you DJ, regardless of which country you perform in? Ah yeah – Naruto! I found in Brazil, Naruto was very, very popular. they can sing all the Naruto songs. Naruto songs are so much, maybe thirty or forty – maybe fifty – songs, because that was a long, long production. But they know all the songs – and they can sing in Japanese! (Laughs) The South American people like the action and ninjas! So, Naruto is usually my last song. And also Dragonball and maybe One Punch Man. You’ve composed music for Square Enix. What was it like working for such a prestigious company? In my childhood, when I was a boy, I started playing games like Final Fantasy. I loved the music of Final Fantasy and Dragon Quest very much. I started my composing with a Final Fantasy song and I copied in my computer, that was maybe my first production. I was so surprised they offered me to compose and I met Uematsu-san and Sasai and Shimomura – my Gods! (laughs) so I still can’t believe I’m composing with them! That was two or three years ago, but sometimes I still feel like I’m in a dream. Their attitude to make a good game is so serious. they do everything to make a good game – and of course including music. So sometimes it’s very hard work, but I can understand that I should work hard with them. When you were starting out, you were contributing to Niconico Douga. How important is Niconico as an outlet for Japanese creators? Ten years ago, Niconico is the only way to present music by ourselves – like a student or amateur. So, they’re very important – Niconico and vocaloid – but now we have YouTube and Spotify and many more ways. That’s a good thing, but Niconico’s position is much weaker. When I started a career as a vocaloid producer, [it was a] very, very unbelievable thing to me. I upload my music and 10,000 or 100,000 people listened! It couldn’t before, because if I’m a singer I play maybe in a live or the street, maybe 100 is the maximum. Getting 100 people is such a hard thing for the amateur, but I found [with] Niconico is 10,000 people come easily, so it was wonderful to me. You talked about studying in the UK ten years ago, where were you studying? First, I go to Dover because I have a friend called Dave Sinclair, he was the keyboard player from Caravan. Now he lives in Kyoto and I met him in a tea room in Kyoto and we became friends. Our ages are different, but we became good friends. So, he said he will make a new album in the UK and when I heard, [I said] “Oh I want to go with you! I will do everything for you so please let me join you.” And then I worked with him, teaching me as an engineer in the Dover studio. Before that time, London is a dream city for me and UK is a dream country, because there’s of course Beatles and Queen and I love the music. My favourites are always from London and I think in London they think a very different way than in Japan. 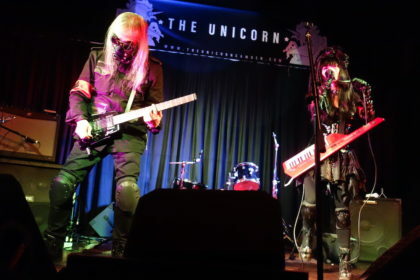 I talked musical people in London and found their consciousness about the problems in the music scene were the same in Japan. So, I found we can become friends. It was great for me so when I was back to Japan, I’m… how do I say… I got self-confidence! 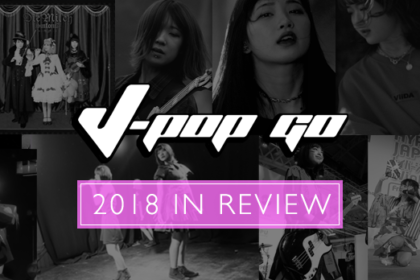 J-Pop Go extends its thanks to Taketeru Sunamori and the Hyper Japan press team.